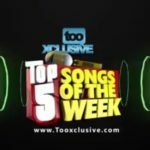 This is week 11 for the TooXclusive top 5 weekly music countdown series. Last week Wizkid and his Starboy crew made it to the #1 spot on the chart with the song, Soco. However, the latest collaboration with DJ Spinall titled Nowo that is fast picking up wave especially on the international front, has made a dangerous debut on the chart this week. Dangerous because it is coming just behind Soco that also features Terri, Ceeza Milli and Spotless. Adekunle Gold is also headed for the top as he places third for his widely received song, Ire; Olamide and DJ Enimoney completing the playlist with their songs Science Student and Diet respectively. 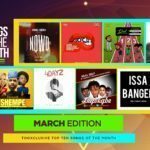 “”Wizkid” Soco Vs Nowo – Choose Your #1 Song”, 5 out of 5 based on 1 ratings. Na all dis kine things deh make me believe seh wizkid no serious…i mean why soco video neva drop????? Why??? ARE YOU A TALENTED ARTIST WITH NO ONE TO SPONSOR YOU? NEW EMPIRE is a new Record Label committed to raise the Nigerian upcoming artists to Stardom. Website/Blog Creation, Artist/Business Page, Etc. NEW EMPIRE is located at no 5 Jegede Brown Street, Alagbada Bus-Stop, Ijegun Road, Ikotun, Lagos.